To celebrate the bicentenary of the Battle of Waterloo, the Costume Society is holding the first of their Jubilee Year Study Days in Bath. 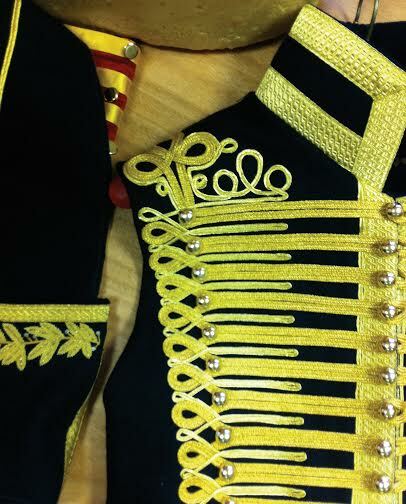 The morning will have Uniformly Splendid: Dress and Death on the field of Waterloo. Nigel Arch, former Director of Kensington Palace and a military dress historian, will be considering the Battle of Waterloo, fought on Sunday 18 June 1815, as the last great encounter between European armies wearing the superb uniforms of the eighteenth century. 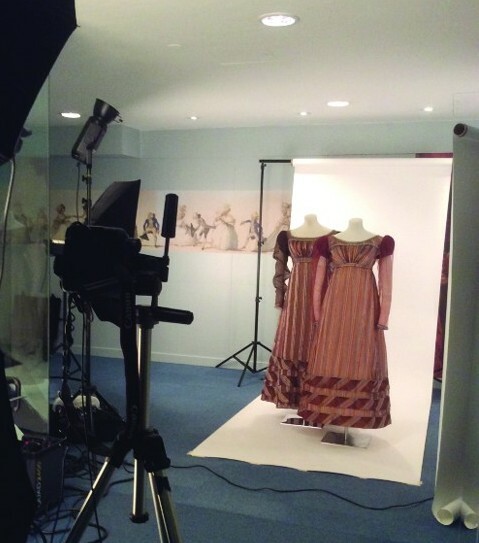 Rosemary Harden, Manager of the Fashion Museum, will be discussing A Brilliant Affair: Dress and Fashion at the Waterloo Ball, looking at some of the dresses worn at the Duchess of Richmond’s famous ball held in Brussels on 15 June 1815 just before the Battle of Waterloo. Two of these dresses are now in the collection at Bath. 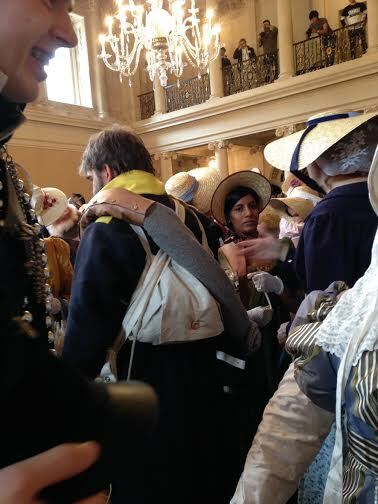 In the afternoon there will be a ‘dressing’ of two of Bath’s residents in outfits of the period from their linens out. You are invited (encouraged even) to come in costume - rest assured that you will not be alone! But you might need a bit of time to arrange an outfit. Some members have agreed to join in with advice and possible hands-on help. If you’d like to help (with or without professional charges), can provide advice or even an outfit, please contact Fiona Starkey: email membership@costumesociety.org.uk who is compiling a list of the willing and the wanting. And if you really want to push the boat out - the Jane Austen dancers are holding their Waterloo ball in the Assembly Rooms, Bath on the same evening. www.janeaustendancersbath.co.uk for details. 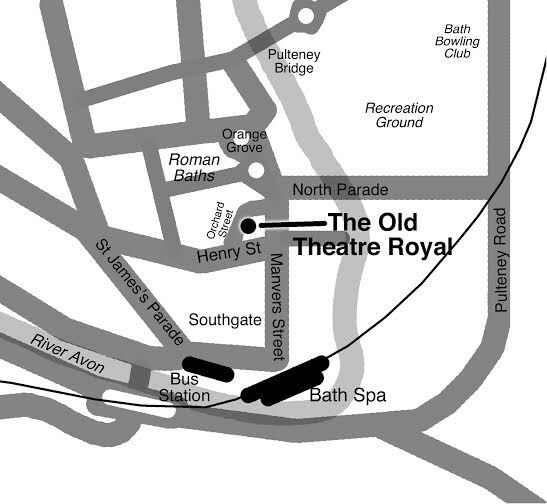 The Study Day is being held at The Old Theatre (Masonic Hall) in Orchard Street, Bath BA1 1JU. Five minutes' walk from Bus and Train stations and worth a visit in its own right. 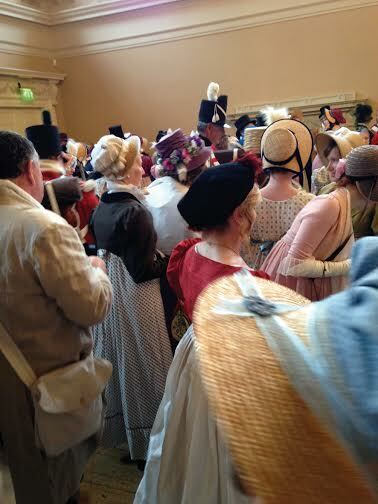 14.00 The 'Crinoline' group with two 1805 outfits (his and hers) recreated and dressed on stage from shirt out. Based on Janet Arnold patterns.